The hippy-chick Idol runner up just got a little more polished. 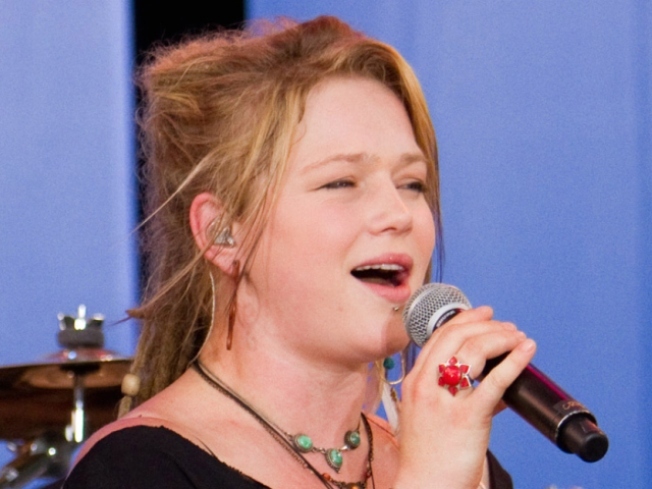 Crystal Bowersox, whose smile formerly included a missing tooth on one side of her mouth, underwent dental surgery to give her a full set of chompers. "It was something I've always wanted to do," Bowersox told People Friday at Good Morning America. The 24-year-old singer previously turned down a dentist's offer to fill in the gap for free during the Idol competition. Musician and mother of one Bowersox is in the midst of an image make-over. On the eve of the Idol finale, she revealed she split with her boyfriend. "Big Tony, he went home," she told Ryan Seacrest. "He wasn't cool with the lifestyle." She'll soon be splitting with her touring partner, too, American Idol Season 9 winner Lee DeWyze. Eight shows are being axed from the tour, the AP reported. Bowersox is set to start recording her debut album at the tour's conclusion.